The Zenith sloped bollard is a stainless steel bollard with a bright or satin polished finish. 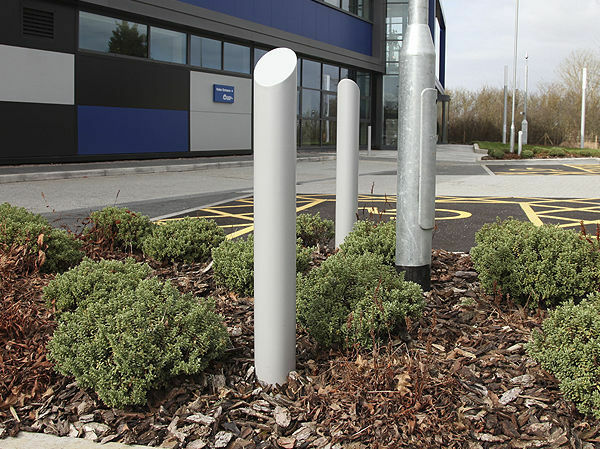 The popular Zenith bollard is simple in design, low in maintenance, hard wearing and 100% recyclable. 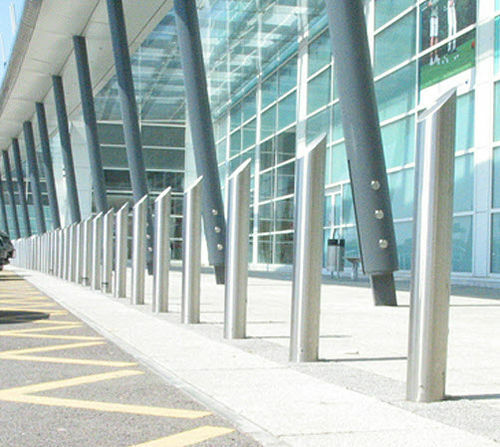 Zenith sloped bollards are available in heights of either 900 or 1000mm. 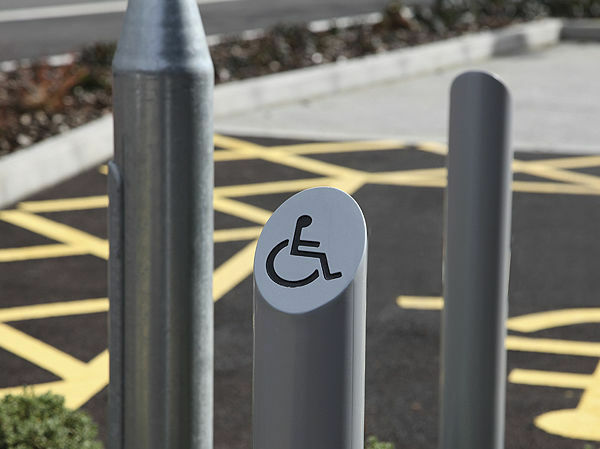 The latter can help the visually impaired and assist with the requirements of the DDA and BS 8300. Base plated, removable and security versions are available. 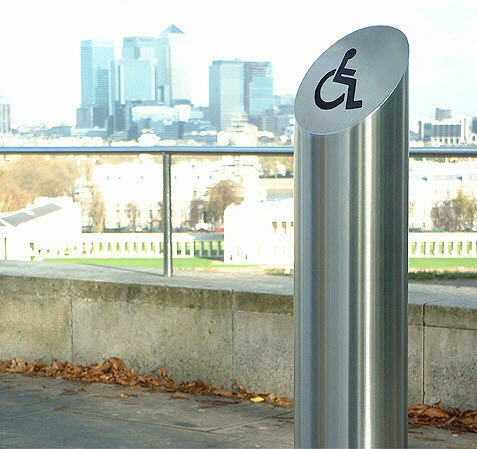 The Zenith sloped removable bollard can be housed in either a hinged steel socket (to be secured with a padlock) or the F1 socket, which provides a flat, flush finish when not in use. 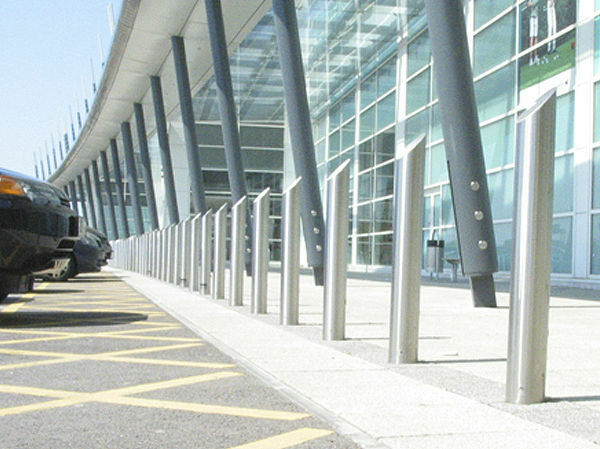 The Zenith sloped bollard is also available in steel with a galvanised or powder coated finish. Foundation depth is usually the same as the root depth of the bollard. Minimum recommended foundation is the root diameter plus 200mm. Please note that this product will not perform as an anti ram raid bollard until concrete is fully set and must be protected until this time.